Detailed review of Alterna Caviar Anti-Aging Dry Shampoo. See what real experts and actual users have to say about this dry shampoo. 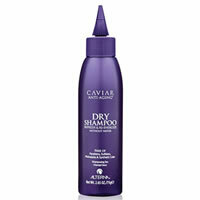 Alterna Caviar Anti-Aging Dry Shampoo is one of the best powder formula dry shampoos I have tried. For a powder product, this dry shampoo was very easy to apply and blend into the hair. I really liked the way this felt in my hair and the way it made my hair look. It was velvety and matte, but not drying or cakey at all. When you are applying the product, you do have to be careful not to get the product directly on your scalp or else it is really hard to remove; that is one down side to this. I also really like the way this dry shampoo smells and the fact that it is good for your hair. The product is completely free of parabens, sulfates, phthalates, and synthetic color. Overall, I really liked this dry shampoo and the way it made my hair look and feel. When I first applied Alterna Caviar Anti-Aging Dry Shampoo, it looked and felt super finely milled and had a soft white pigment. As I worked the product through my hair, the powder felt so soft and velvety which I really liked. The fineness of this powder made the pigment less intense and it almost melted into my hair. Alterna Caviar Anti-Aging Dry Shampoo is pretty easy to apply, especially for a powder formula dry shampoo. The product comes in a squeeze bottle with a tiny nozzle that the product comes out of, although you don’t want to actually squeeze the product out or else you’ll put way too much in your hair and make a mess. You have to apply this product very gently and just barely tap the bottle over your hair to sprinkle the product on. You will also want to avoid putting this near your scalp, aim for an inch or more away from your part or else this will get stuck on your skin. Once the product is applied, this product is so easy to use. All I had to do to make it blend was fluff the product with my fingertips a few times and it was perfectly blended. This product is a total dry formula, as it comes in powder form. The smell of the Alterna Caviar Anti-Aging Dry Shampoo is very subtle but also really nice. Once the product settles into your hair, the overall scent goes away. The results I achieved from Alterna Caviar Anti-Aging Dry Shampoo were really great. This product absorbed the oil from my hair very well, as well as added texture and volume without making my hair look dry or cakey. As for the Anti-Aging affects, I am not so sure how that works. 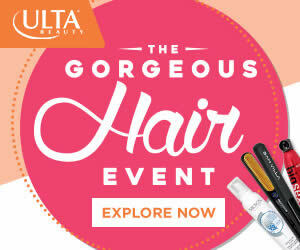 But, I do like the fact that this product is totally free of parabens, sulfates, phthalates, and synthetic color. Alterna Caviar Anti-Aging Dry Shampoo kept my hair looking fresh all day for about 11 hours, which is a great wear time. Alterna Caviar Anti-Aging Dry Shampoo is 2.65 oz. for $22.00, which comes out to $8.30 per oz. This is a high end dry shampoo and is a bit pricier from this type of product, but if you’re looking for a powder formula dry shampoo, I think it’s worth it. I couldn’t find a specific amount of time that Alterna offers a guarantee on this product, but they do say if you are dissatisfied to call their customer service. To buy Alterna Caviar Anti-Aging Dry Shampoo, Click Here. Price Costs $22.00 for 2.65 oz. Check out our social media for dry shampoo product reviews, hairstyle pics and tutorials! The 10 Best Dry Shampoos For 2019! © 2019 DryShampoos.com. All rights reserved.